If you can get past the unflattering name, dung mosses might just be one of the most fascinating groups of species you will ever come across. 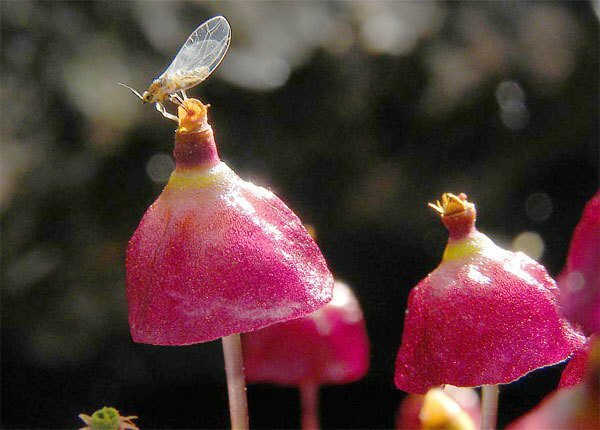 As the name suggests most species in this moss family are closely associated with dung. But they do much more than that. These species show us some incredible adaptations that help to ensure their survival against some very slim odds. Dung mosses grow primarily on animal excrement but also on animal bones, carrion (the bodies of dead animals) or on bird stomach pellets (pellets with bones that birds cough up). 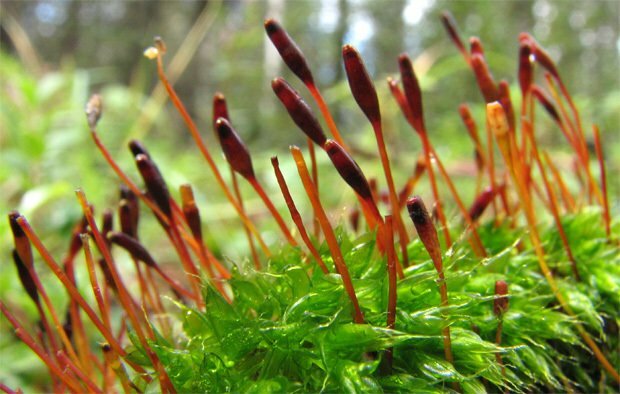 The dung mosses belong to the family Splachnaceae, which in Alberta consist of 14 (perhaps 15) species in four genera: Tayloria, Tetraplodon, Splachnum and Voitia. 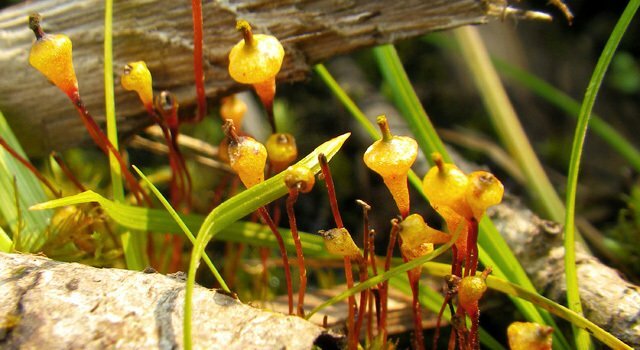 Species of the genus Splachnum are adapted to grow only on dung, especially that of moose. These habitats are extremely small and are widely scattered on the landscape, making it unlikely that the spores of these species, which are dispersed by air currents, will land on them. So, considering that these habitats are the only places where Splachnum mosses grow, these species are even more fascinating. The patchiness of these habitats also make it difficult to encounter the species when outdoors, but all the more exciting when you do. inflated tissues actually release a scent that mimics dung and carrion. The flies are attracted to the scent and when they touch the sticky moss spores, they bind to the tiny hairs on the flies. The flies then move on and ultimately deposit the spores on piles of dung. In this way, dung mosses control what seems to be a rather one-sided relationship using a combination of visual, chemical and tactile trickery. For dung moss species with sexes on separate spores, successful reproduction will depend on both male and female spores being deposited on the same habitat. The sticky nature of dung moss spores helps to maximize the chances of both spore types being deposited at the same time. Sometimes you can find more than one species of dung moss growing together on a single dung pile, as flies can arrive from different habitats and deposit spores of different species. There are other challenges for dung mosses too. Dung piles are not only tiny targets but they are only around for a short time, usually disappearing after only one or a few years. Therefore, dung mosses continually require new habitats and the help of flies or dispersers to survive. The distribution of dung mosses may also be affected by changes in moose and other animal populations. Genera: The genera and numbers of species in Alberta: Tayloria (five species plus one reported but unconfirmed), Tetraplodon (three species), Splachnum (five species) and Voitia (one species).